← You’re not in San Francisco. J: I’m going to eat all of them. Boys in the backseat playing jell-o, moving with the car to and fro. Aunty A: What is it that you like so much about strawberries? Fields full of food ripening on the ground, surrounding rode for miles. Z: The sweetness. I like the fur on the outside. J: It’s the loveliness, the sweetness. Z: It’s the taste in the middle. The center inside is full of maple. J: Yeah, maple. They taste like maple. The sun is hot enough to burn, west coast April afternoon. Aunty A: Sounds like a poem, we should write a strawberries poem. Instead we talk about agriculture and bio-mimicry. 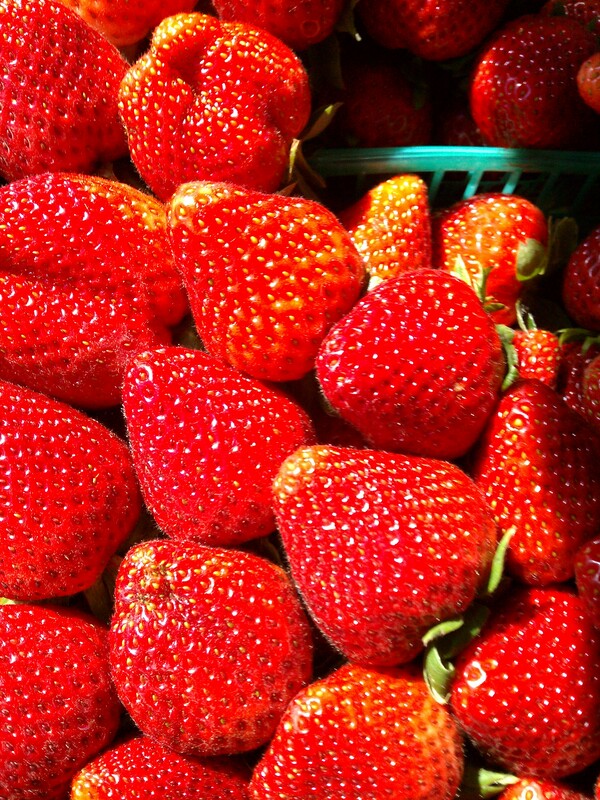 J and Z take turns handing up strawberries to Aunty V.
This entry was posted in California, Creative Nonfiction, Malibu. Bookmark the permalink.